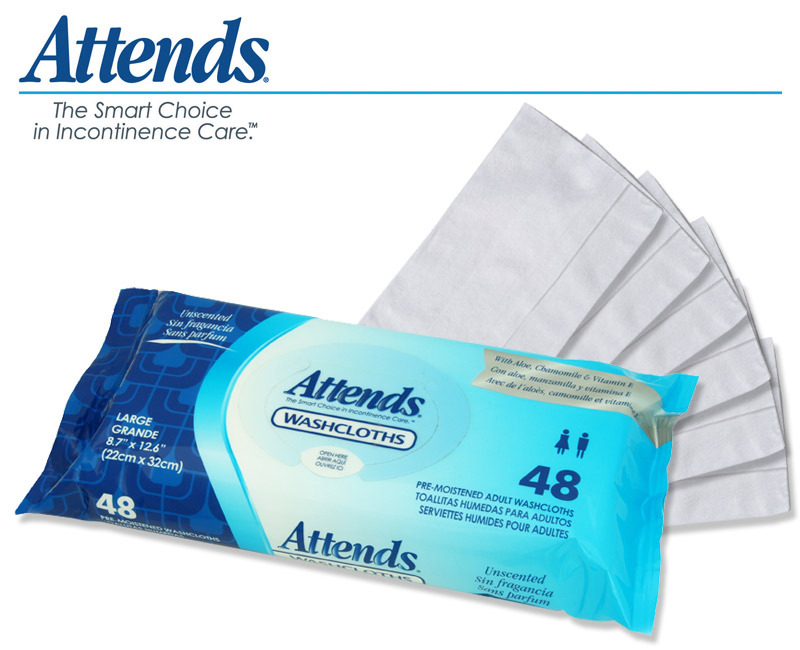 Rinse-free washcloths for incontinence in a soft pack with a reclosable top for storage. Spunlace washcloths with aloe to moisturize and sooth the skin. Alcohol-free cleansing formula helps prevent skin irritation and dryness. 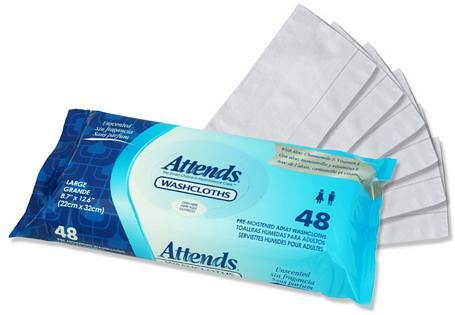 Comes 48 washcloths per pack. Size: 9 x 13 in.